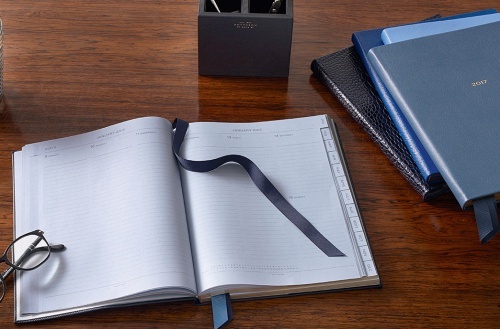 Founded in 1887, Smythson has demonstrated a dedication to the highest quality of craftsmanship and design innovation. 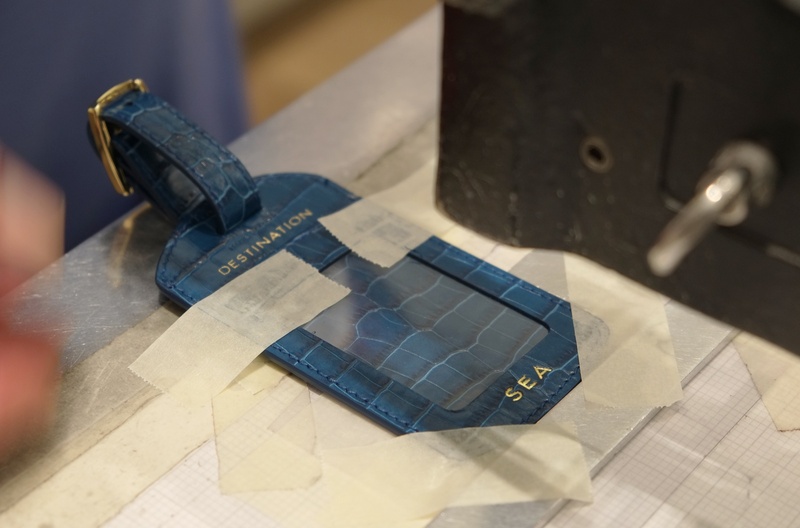 From the first pocket diary to the utilitarian Greenwich travel collection, each and every piece of the Smythson legacy has been designed to be exceptional. 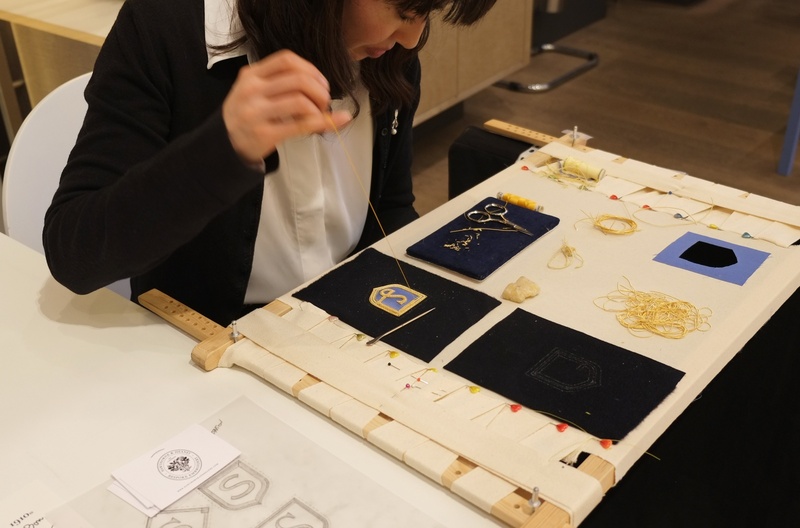 To celebrate their 130th anniversary, Smythson partnered with London Craft Week to create an exhibition that would demonstrate the core of their brand - Crafted for Life. It took the audience on a journey through history to commemorate some of their biggest milestones and most iconic innovations. 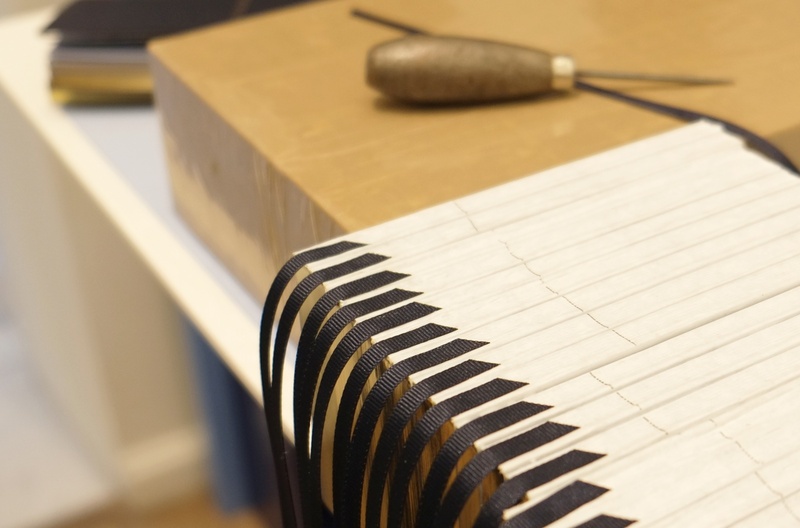 London Craft Week is an annual 5-day event from 3rd to 7th of May that showcases exceptional craftsmanship through a journey-of-discovery programme featuring hidden workshops and unknown makers alongside famous studios, galleries and luxury shops. 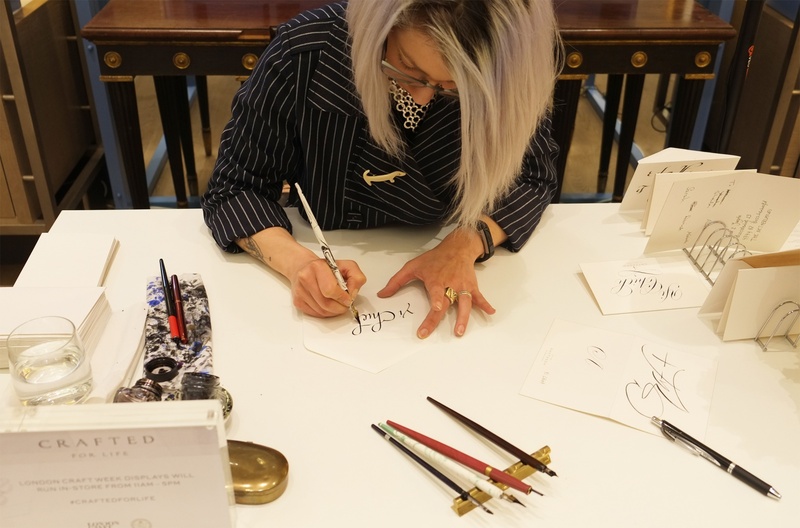 This year we had the chance to visit the exhibition in Smythson in Bond Street, London. 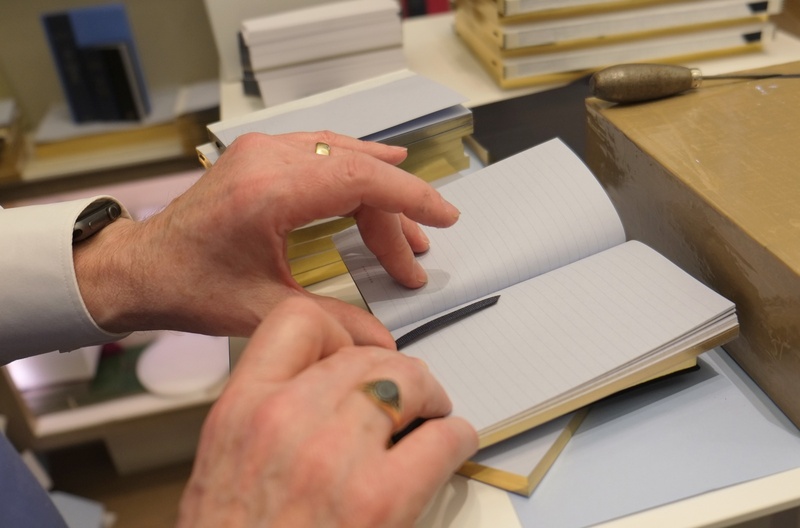 Part of the exhibition highlights the production process of their bespoke handmade notebooks. 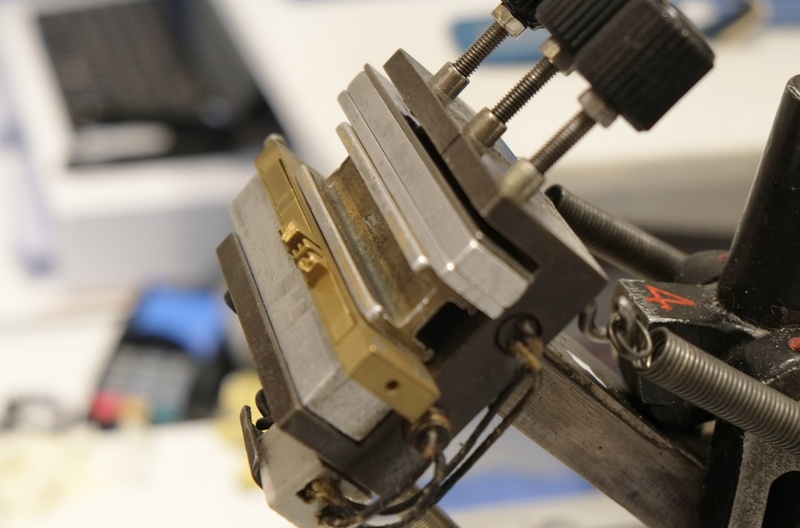 There are demonstrations of the the traditional methods in-store, such as book binding and gold stamping. 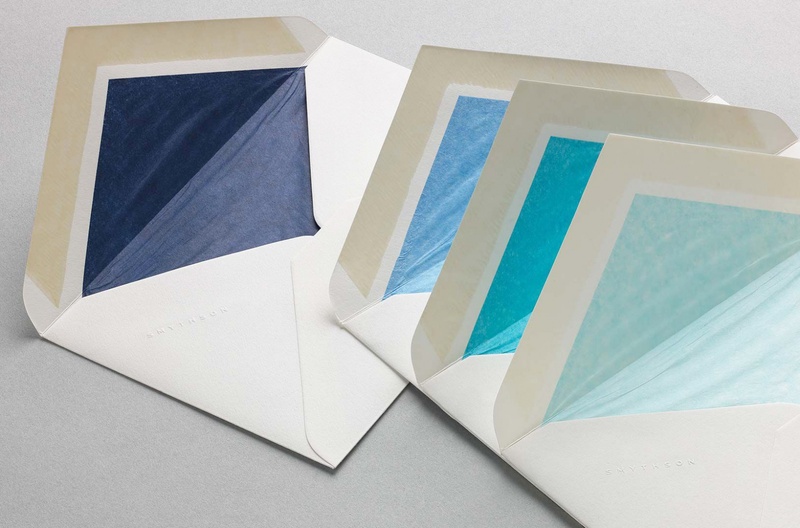 There were also maker-led demonstrations showing the process of finishing tissue-lined envelopes, embroidery and calligraphy. The book binder Steve explained the process of making ribbon bookmarks and the inner pocket of the book cover. 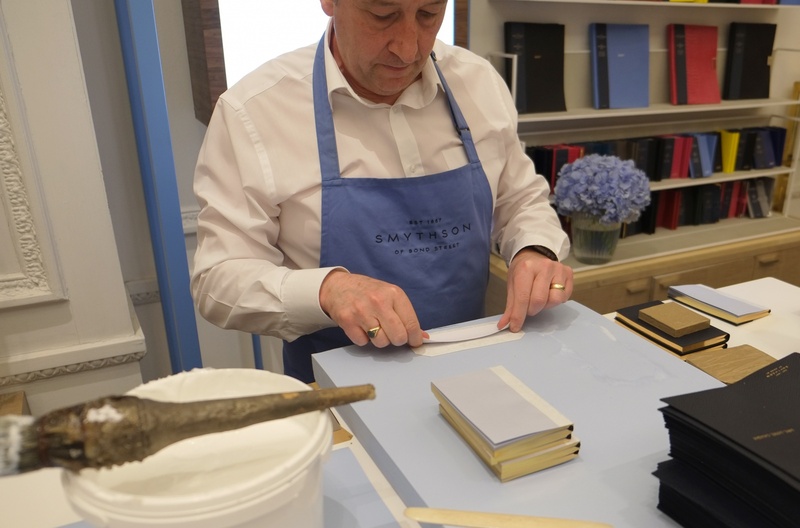 He emphasised that every detail is important in Smythson’s book binding process, especially as there is a specific angle and length for their bookmark. 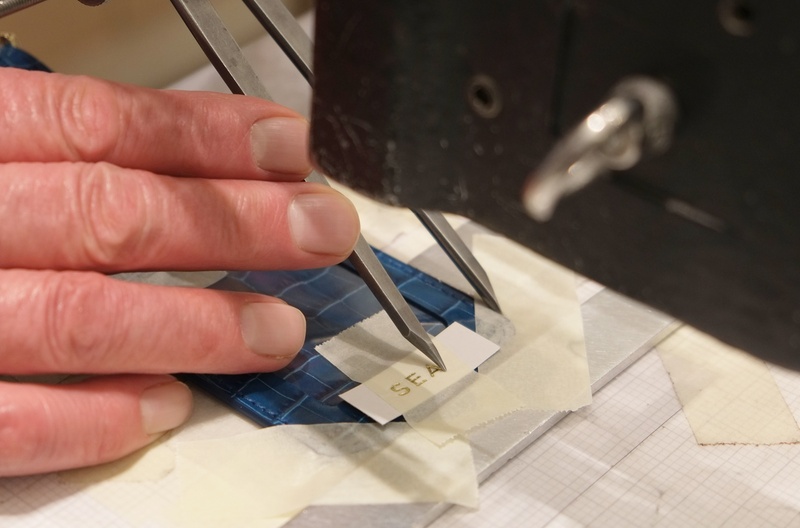 The length of the ribbon needs to be over one third but not reach half of the notebook when folded onto the page. 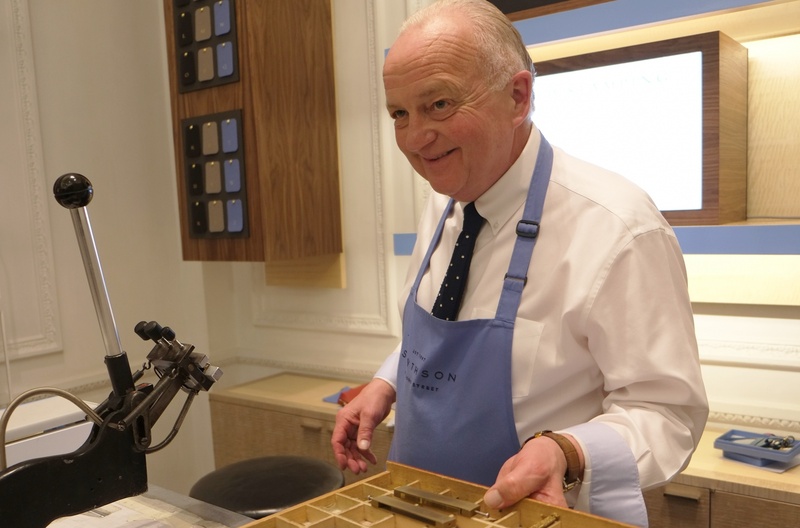 Elsewhere in the exhibition, John demonstrated the process of stamping gold on to leather. 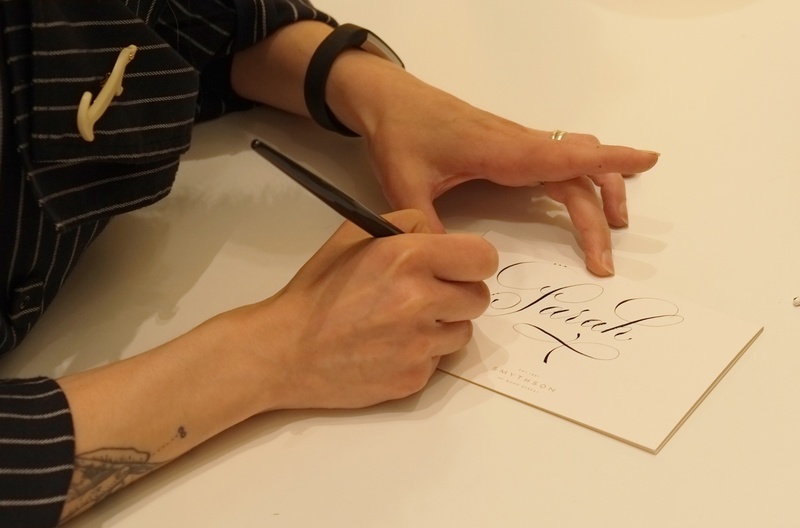 The beginning of the process is similar to letterpress; adjusting the space of each letterform is necessary before stamping; there are several pieces of fine-tuning to ensure it appears exceptional. 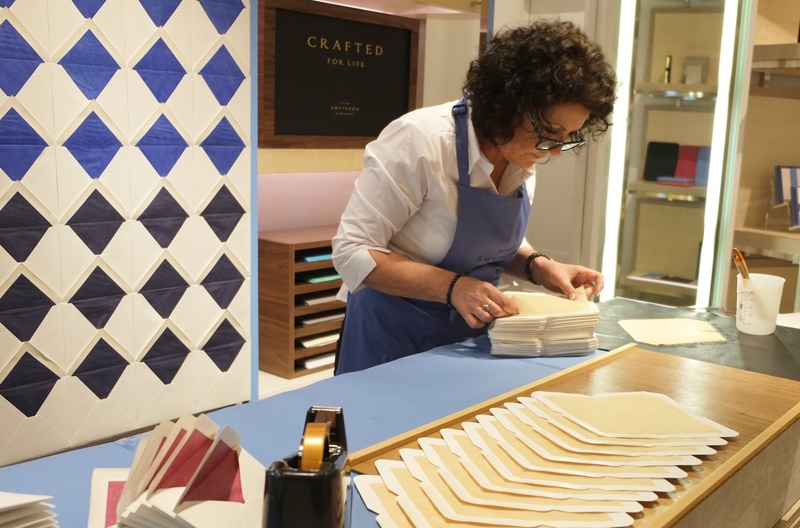 These talented craftspeople have been dedicating their life to their profession for many years in order to make each piece exquisite. It was a pleasure for us to meet and learn from them at the event. I especially appreciated when John told me that the best thing in your life is constantly doing what you are passionate about and to make it to your career.